Arrest warrant for defendant in case against Moscow Region district ex-head upheld | Russian Legal Information Agency (RAPSI). MOSCOW, March 20 (RAPSI) – The Moscow City Court has upheld a lower court ruling on the arrest of ex-head of Bolshevik, a small town in the Moscow Region, Boris Krivodubsky, in absentia, the court’s press service has told RAPSI. Krivodubsky is an alleged accomplice of ex-head of the Moscow Region’s Serpukhov District Alexander Shestun charged with embezzlement, bribery and abuse of office. 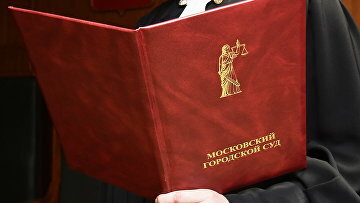 The victim in the case is the Serpukhov District administration. In January, prosecutors filed a lawsuit to forfeit 10-billion-ruble ($150 million) assets owned by Shestun to the state. This property status does not correspond to his income, according to the Prosecutor General’s Office. The former official is the owner of 676 real estate items in the Moscow Region’s Serpukhov district, 2 recreation facilities and 22 cars, prosecutors claim.